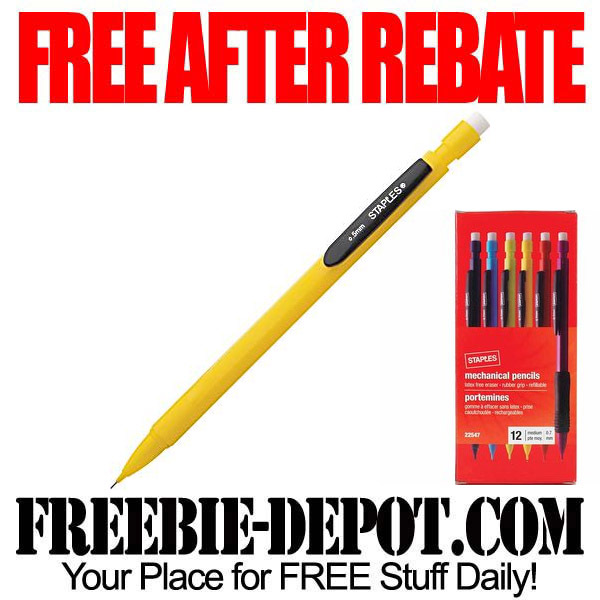 FREE After Rebate Staples 0.7 mm assorted mechanical pencils, 12/pack, 8/18/13 thru 8/24/13. In store only. While supplies last.